The long-awaited combinators branch has been merged into our master repository. Robert cannot wait to write about it in Friday Facts, but we still don't have the graphics for that so we decided to wait till that is done to show some realistically looking setups. 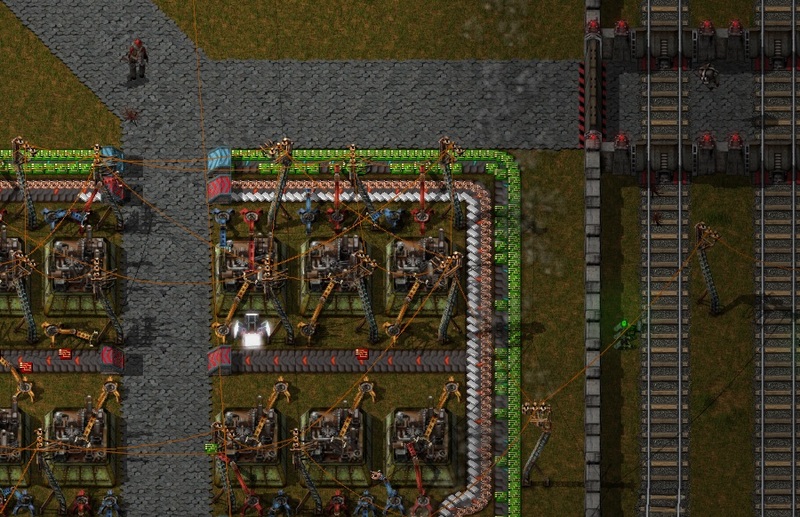 In the meantime Michal has finished with a long postponed issue with Roboports displaying way too many connections when hovering over them. A long time ago we have announced that this will be fixed, but only now it actually has been. We ended up building a Voronoi diagram with a handy algorithms from the Boost library. Based on the Voronoi diagram we then contstruct the triangulation. In effect, the result is (except for special cases) analogous to the Delaunay triangulation. The thread at our forums is ready for your comments.